The first three Commanderies in Iowa were formed starting with DeMolay Commandery 1 in Muscatine, which received dispensation on March 14, 1855; and chartered on September 11, 1856. SK T.S. Parvin served as the first Eminent Commander, although he lived in the then State capitol of Iowa City. Palestine, No. 2 in Iowa City, chartered on September 15, 1856 by the Grand Encampment, with SK Kimball Porter serving as the first Eminent Commander; and Siloam, No. 3, constituted by SK T.S. Parvin by order of the Grand Encampment on February 9, 1857, and chartered on September 19, 1859; were the founding three Commanderies of the Grand Commandery of Iowa. 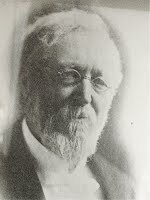 SK Parvin, among having served as a teacher, lawyer, and librarian who moved to the Iowa Territory from Ohio and later became the private secretary to the first Territorial Governor, Robert Lucas; also served as the first Most Excellent Grand High Priest of the Grand Chapter of Royal Arch Masons of Iowa. On September 24, 1857 several Sir Knights gathered at the Lodge Hall of Pioneer Lodge 22 AF&AM in Fort Des Moines for the purposes of petitioning the Grand Encampment for dispensation to form a Commandery in Des Moines. The Grand Encampment issued dispensation to Des Moines Commandery (the name was later changed to Temple Commandery) in 1859 to operate and confer the Orders we now hold so dear. Sir Knight John Scott served as the first Eminent Commander of what was then known as Des Moines Commandery. Eventually, a photo of SK Scott was placed on the wall of the offices of Temple Commandery 4. The photo portrays SK Scott as the elder statesman, and after reading more about him, you will find that he actually was a statesman. SK Scott served in Iowa State Senate in 1859, leaving in 1861 to enlist as the Captain of Company E of the 3rd Iowa Volunteer Infantry Regiment to fight in the war between the States. He was later promoted to Lieutenant Colonel and then transferred to the 32nd Iowa Infantry Regiment and promoted to Colonel. The 32nd Iowa Infantry Regiment distinguished itself in the Red River campaign. SK Scott left the Army in May of 1864 and returned to his political career, serving as the Lieutenant Governor of Iowa (1867-1869). SK Scott left this earth on September 23, 1903. No story is complete without tragedy, and this one is no different. The Civil War was more than just a tragedy for Templary in Iowa, it was a tragedy on the battlefield, in the homes of the families of our nation both North and South, and has caused a rift in our nation that still lives today in some areas. The Civil War touched Templary in Iowa as it did many organizations. The minutes of the Grand Commandery of Iowa from the 1864 Grand Conclave note that the dispensation granted to Des Moines Commandery was forfeited between 1860 and 1864 as membership in Des Moines Commandery declined significantly as many members had left to serve in the “armies of the republic” (Union Army). Just like the phoenix, Templary in Iowa rose from the ashes of the Civil War. While many of their neighbors were still serving, or at home preparing for spring planting, representatives from DeMolay Commandery 1 in Muscatine, Palestine Commandery 2 in Iowa City, Siloam Commandery 3 in Dubuque, and Des Moines Commandery in Des Moines traveled to Des Moines. On June 4, 1864 the Grand Commandery of Iowa was formed in Des Moines, and the famous T.S. 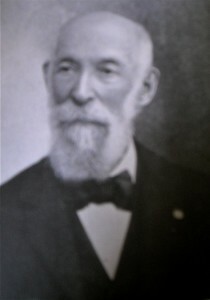 Parvin served as the first Right Eminent Grand Commander of Iowa. However, only DeMolay Commandery 1 in Muscatine, Palestine Commandery 2 in Iowa City, and Siloam Commandery 3 in Dubuque held charters at the outset of this first Grand Commandery Conclave. That was remedied on June 6, 1864 when SK James R. Hartsock, Eminent Commander of Palestine Commandery 2, a Daguerreian Professor (Photography), and representative of SK B.B. French, Most Eminent Grand Master of the Grand Encampment proposed that Des Moines Commandery be issued a charter. A charter was issued on June 10, 1864 to Des Moines Commandery 4 from the Grand Commandery of Iowa, making the host city the first Commandery to receive a charter from the Grand Commandery of Iowa (remember, the first three received theirs from the Grand Encampment).